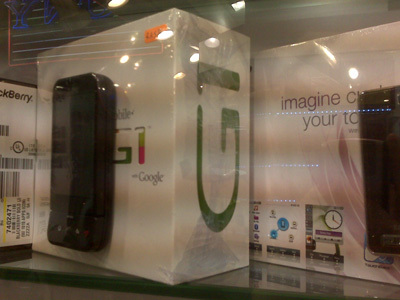 The T-Mobile G1 is on sale in the US for about 3 weeks now. 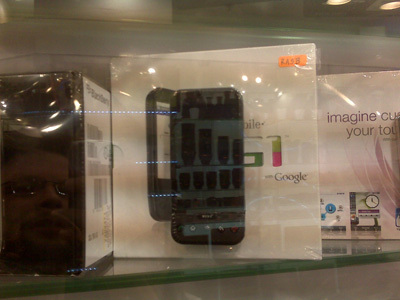 It seems to be a quite popular phone and there already appeared some phones on ebay in the US as well as in Europe. As far as I remember it is near Nathan Road no. 123 but I am not that sure. Might be in Burlington House or very nearby. Thank you. I will look around Burlington House very soon! You didn’t by any chance check “cin da” or “seen daah”, that cheapest and shadiest of mobile phone malls in Mong Kok, did you? “seen daah” or however you sell it mainly sells for 3950 for completely unlocked ones. The ones that are 3500 are the white-guy’s price for t mobile locked ones. 4950 is just hilarious, I think you have to be really naive-looking for someone to give you that price. The price has pretty much stablized to 3980 right now. If anybody tries to give you more, just tell them this price. It’s almost impossible to bargain because their profit margins are pretty small. Just gonna commentabout this article, after reading whole of this it make me to have new thinking about one big event, hope I can read more good news again from you so I subscribe your website.